Boscov’s is an American family-owned department store, with 43 locations across Pennsylvania, New Jersey, Maryland, New York, and Delaware. Boscov’s specializes in selling clothing and accessories for men, women, and children, household goods and furnishings, and beauty products. 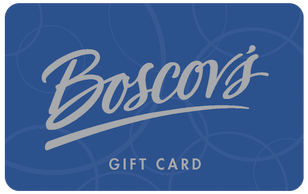 Sell Boscov's gift cards on Cardpool.